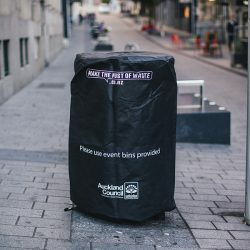 Auckland Council loans Zero Waste Event gear to assist community groups and schools in minimizing event waste sent to landfill (Auckland regional events only). All loan gear is offered free of charge. A large variety of loan gear is available. The gear is suitable for all event types – from small events of less than 100 people through to large events of 5000 people plus. 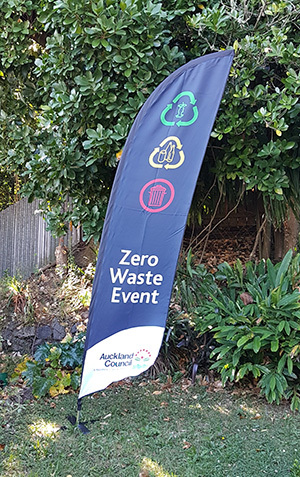 Recycling tear-drop banner flags for attracting attention. 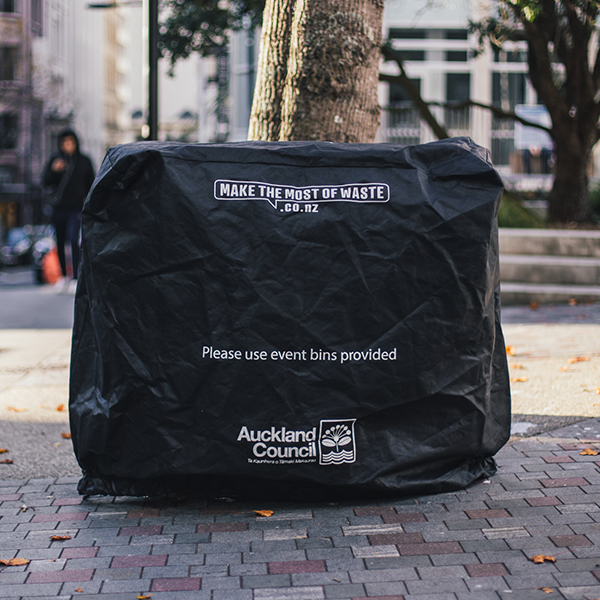 As an event organizer, you are required to supply your own wheelie bins (240L) to sit underneath the plastic pyramid tops. 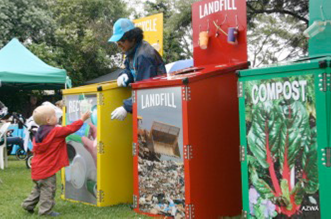 You are also required to have a thorough waste disposal plan for ALL waste collected. All gear loaned is subject to availability. Bookings should be made at least 10 working days prior to your event. 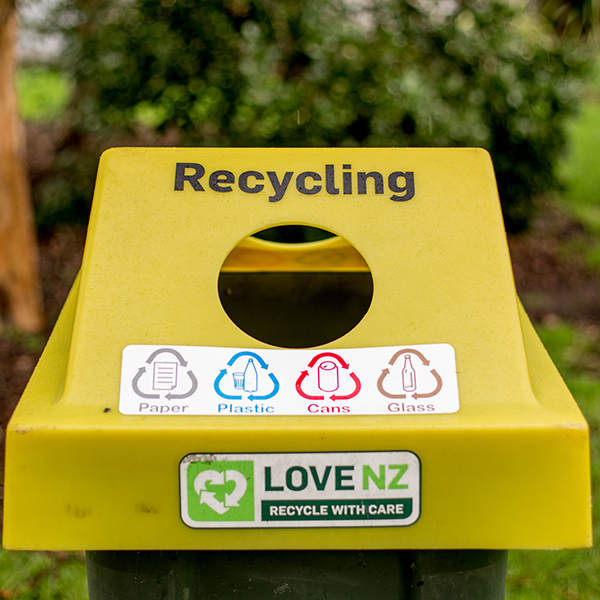 For more information, please contact wastewise@aucklandcouncil.govt.nz or to Book Loan gear fill out the form below. Read the Zero Waste Event Guidelines to gain a good understanding of the principles of running a Zero Waste Event. 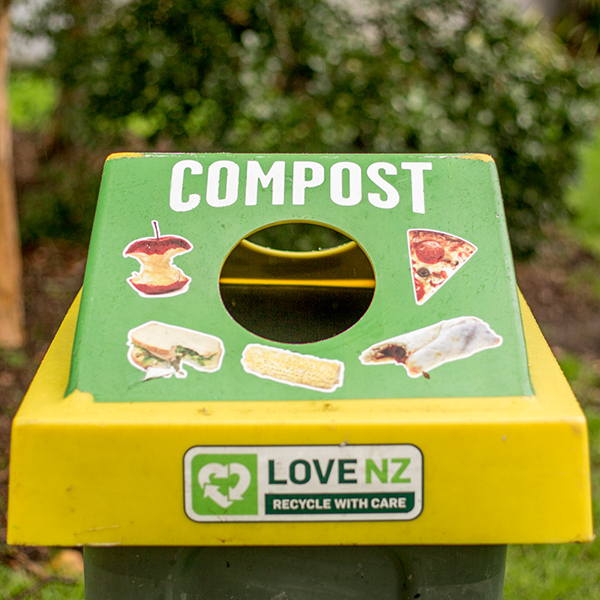 Disposing of all waste, recycling & compostable materials in the correct manner post-event i.e. 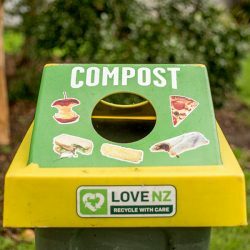 not sending compostable or recyclable materials to landfill. Wash & dry the bin covers before returning. Return all gear in full & in the condition it was loaned out in. If gear is lost or returned damaged you may be charged. Please ensure the gear is in the agreed place for the courier to pick up post-event. If the courier has to make multiple trips you may be charged. Send us any pictures you have of the loan gear in action during the event. 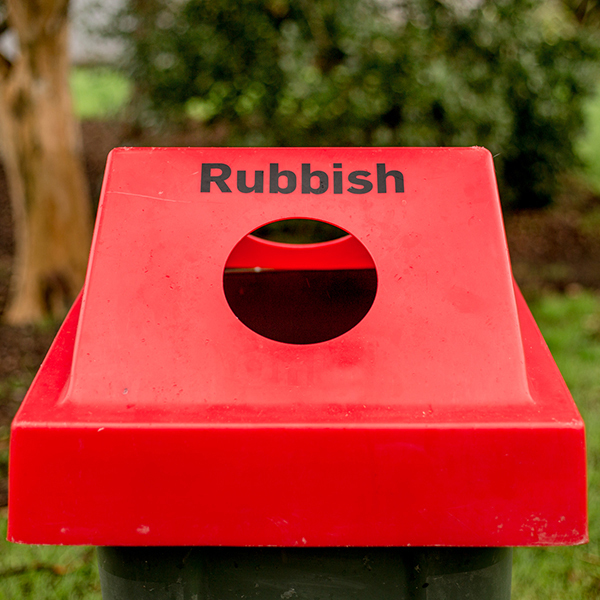 Send us statistics of waste diverted at your event if this is available. To be eligible to use Councils Zero Waste Event logos and brand you must have demonstrated the ability to deliver a Zero Waste Event previously.